Looking for ways to pay off your mortgage in record time? Whether you’re a seasoned investor or buying your first home, an offset account can help you reduce interest payments, save on tax and pay your mortgage off years ahead of schedule, read on to see how it works and how you can reap the benefits. With an offset loan the borrower takes out a home loan and opens a linked savings or transaction account. The balance in the savings account is then ‘offset’ daily against the home loan. With an offset loan, instead of receiving interest on your savings account each month, the account balance is offset against your home loan, reducing the amount of interest you pay over the life of the loan. For example, if you have $20,000 in your account and $400,000 owing on your mortgage, the interest on your home loan is calculated on $380,000 instead of $400,000. While your repayments remain the same, you’re paying less interest, which means you will be paying off more of the principal. If you can maintain a significant savings balance you can potentially pay off your mortgage years earlier than with another type of loan. 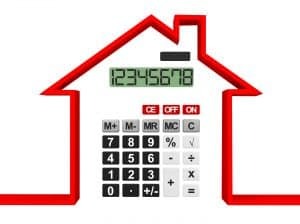 For home owners, another potential benefit is that the Australian Taxation Office does not always consider this type of account to be an interest-earning vehicle, which means you may not have to pay tax on any interest earned on your savings. Seek advice from an accountant or financial planner on the tax implications of this type of account. Because your mortgage interest is calculated daily, many borrowers have their salary paid into this account, immediately reducing the interest payable on the home loan. You can still access the money in your offset account online or with an ATM card, but because every dollar is saving you interest, it makes sense to keep the account balance as high as possible. Another tactic is to use a credit card to cover monthly expenses so you can maintain the maximum amount in your account. At the end of the month, simply pay off your credit card with the money in your account. The danger is if you’re not a disciplined spender you may end up incurring interest charges and cancelling out the savings benefit. Most accounts are offered with variable rate loans, however some lenders offer these accounts on fixed rate loans, too. The upshot? Many borrowers could benefit from having an offset account, particularly if you plan on refinancing or moving home in the near future. It’s worth talking to your mortgage broker to find out more about the best option for your circumstances.